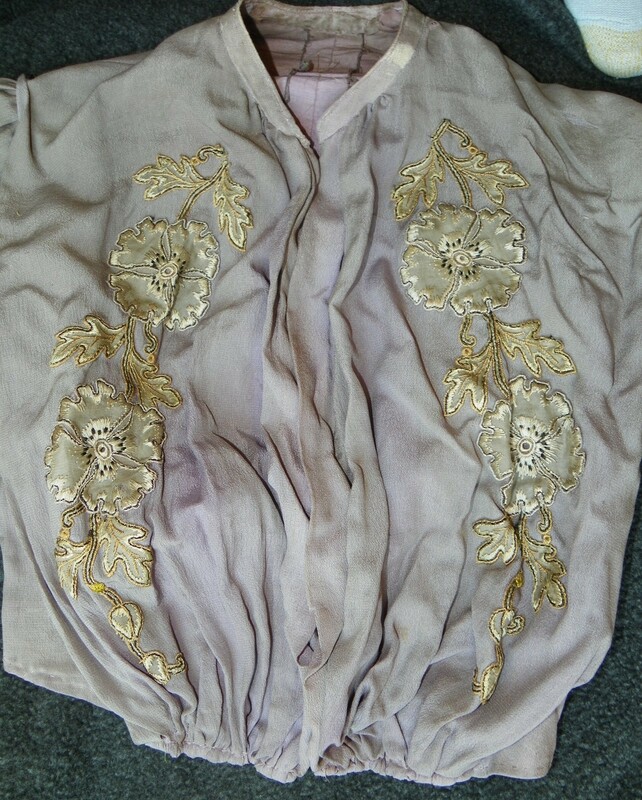 Antique purple floral women's blouse/shirt, ribbed with metal hook and eye closures down the front. 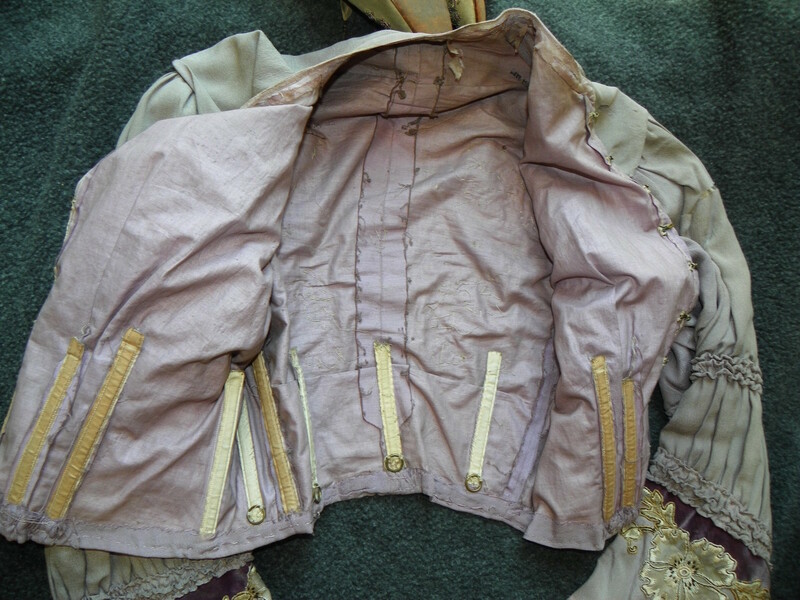 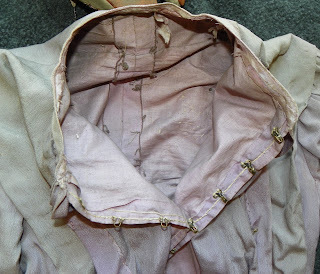 Very nice antique blouse from the late 1800s - about 1890. 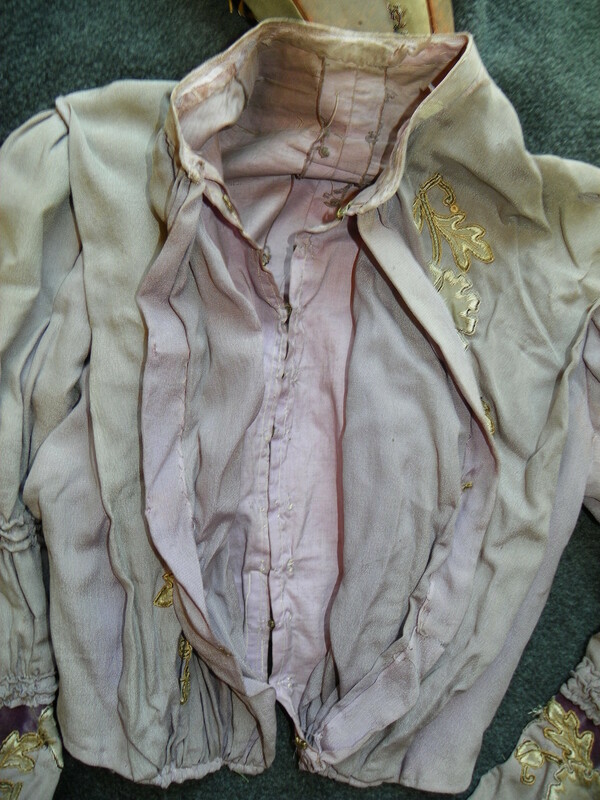 This does have some wear in the fabric along the collar and on the sleeve where it is worn through or there are holes, but overall it does look nice. The metal hook and eye closures down the front are all in good working condition and the wrists also have metal hook and eye closures. 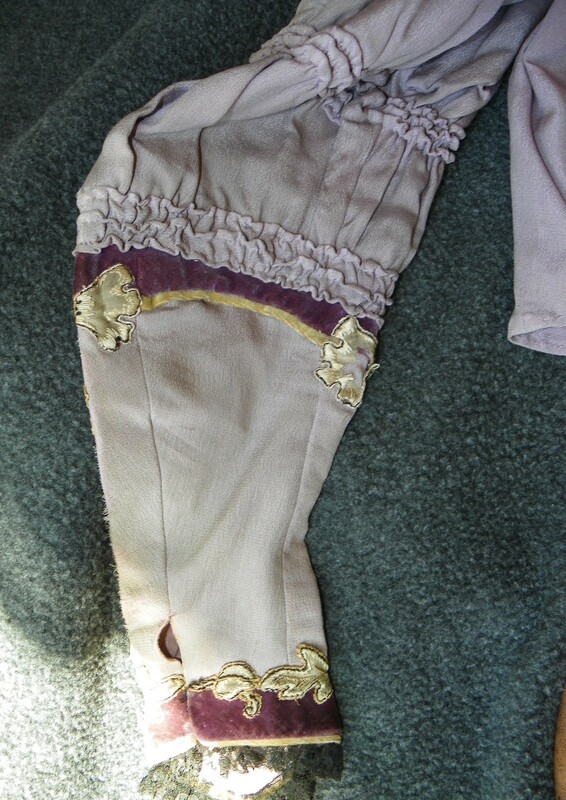 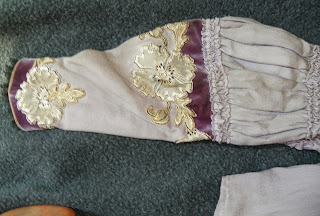 Nice lavendar silk material with floral detail and ruffles and velvet on the sleeves. 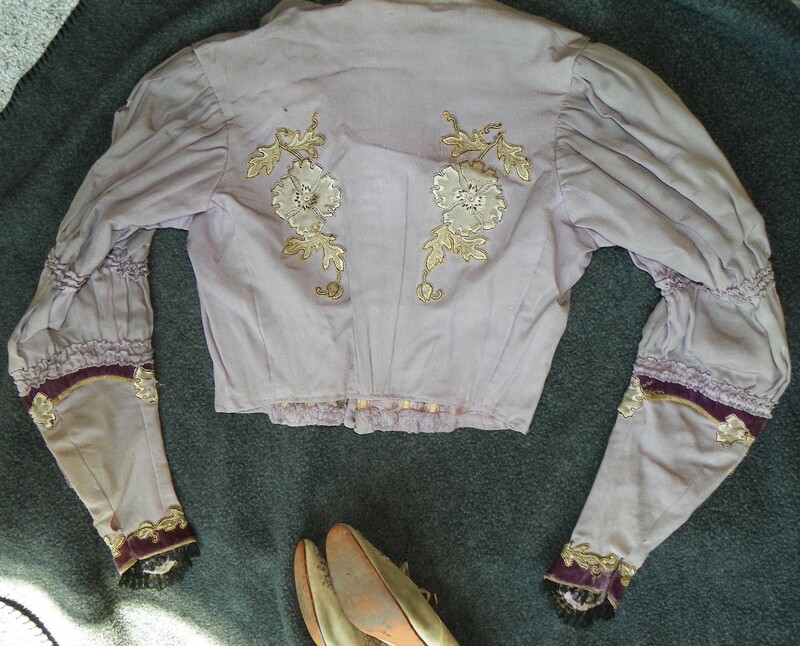 - I have matching shoes in a separate listing that are shown in the first photo, but are not included in this auction...THIS AUCTION IS JUST FOR THE BLOUSE - the shoes are also from the 1800s and were a set with this blouse, I am listing separately in case I have interest in just the blouse or just the shoes. The gathers at the very front of the bodice at the waistline indicate this is from the mid 1900s. Also, the sleeves aren't ridiculous.